Good afternoon everyone! I hope you are all having a great humpday! Today I have some fun spring flowers to share with you guys. 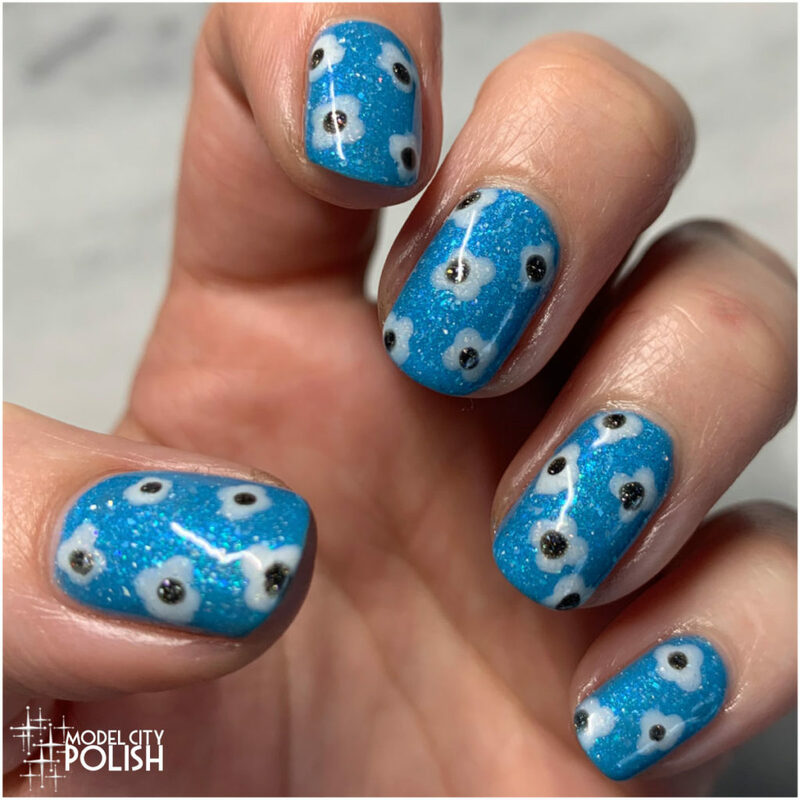 While trying to decide on my nail art for the week I realized it has been some time since I broke out the dotting tools so I decide to go with some simple dot flowers. For my spring flowers I started off with Tinsel & Tiaras from Ms. Sparkle. This is the perfect blue crelly that screams clear skies. Next, I used my dotting tools with Biddy and Diamantes Are Forever by Ms. Sparkle to create some cute flowers. Everything is sealed with two coats of HK Girl by Glisten & Glow. So what do you guys think of the spring flowers with Ms. Sparkle? I love the color combo! The new Big Fat Gypsy Wedding Collection released today from Ms. Sparkle so you can grab all three of these shades, plus the other two beauties. Thank you so much for stopping by today and I will see you all again soon! Reminds me of Monsters Inc! Such a great little collection! Such a pretty shade of blue and your art work enhances it beautifully. Aww these are so cute! 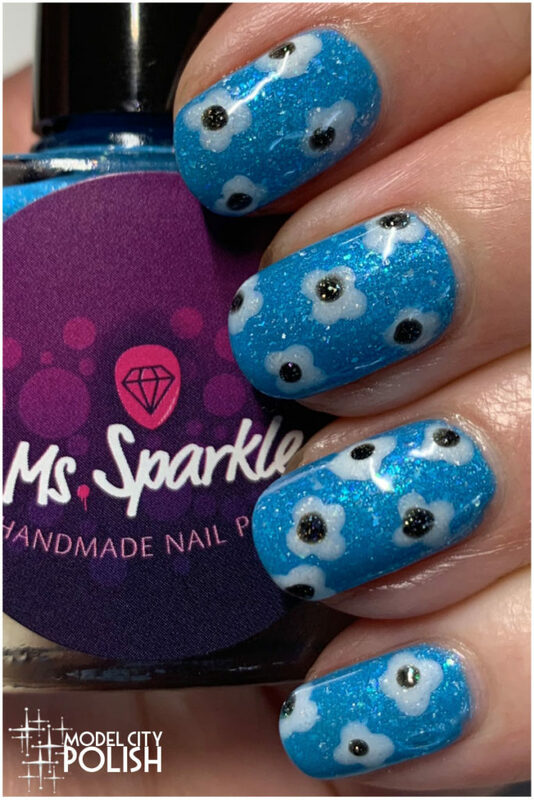 Such cute flowers, and I love the glittery blue base. This is a great spring look and so easy to do! Absolutely love the base color! 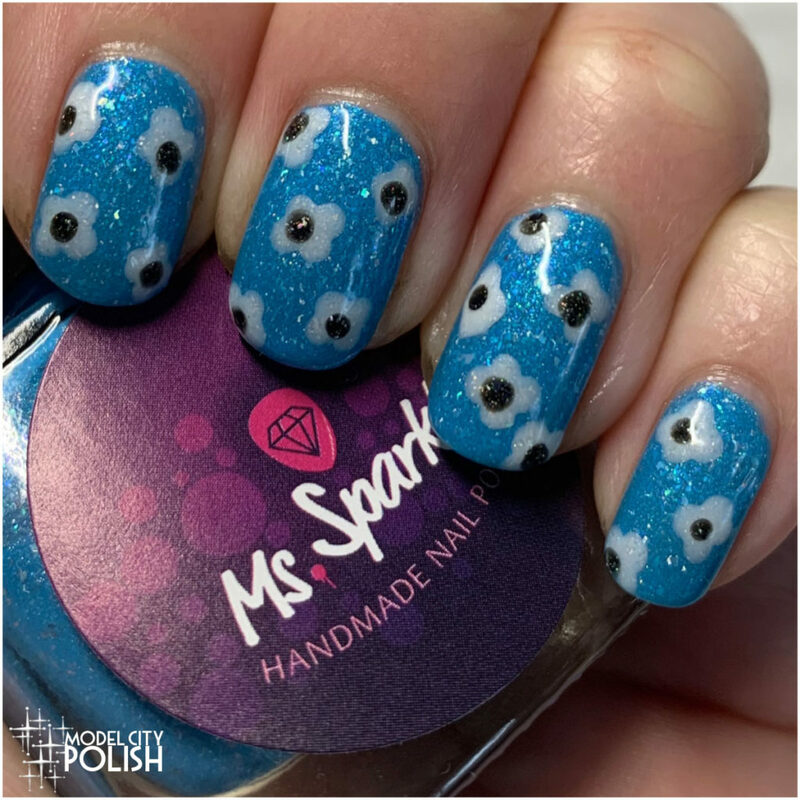 I love anything blue!